I think, for women of a certain class (or those who aspired to a certain class), finding the appropriate wardrobe was an entirely different matter in, say, the late 1880’s and early 1900’s. At that time, Paris was considered to be the center of the fashion universe, and Parisian clothing – or excellent copies of Parisian clothing – were what every woman wanted to have. 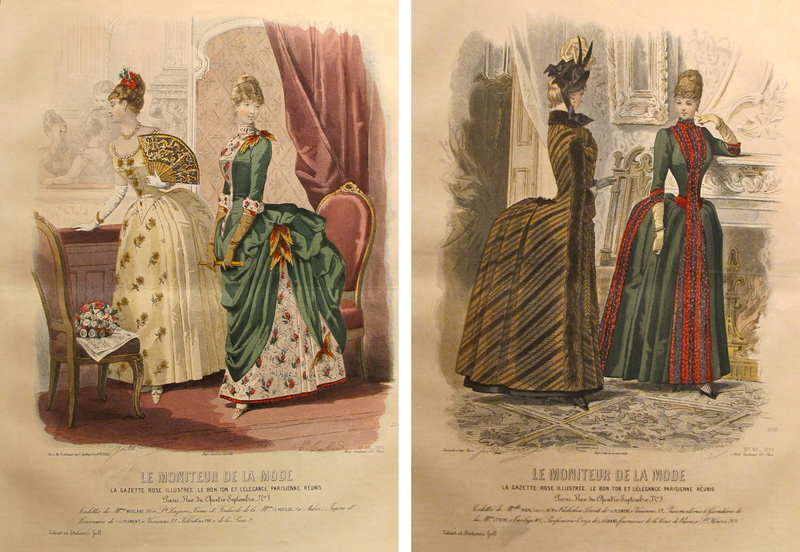 Which is why women subscribed to publications like the Gazette du Bon Ton (from the department store of the same name) and Le Moniteur de la Mode. It didn’t matter if you were in St. Petersburgh, New York, Milan (or even Montreal): If you knew how to sew (and most women did), or had a seamstress (and some women did), all you had to do was bring them a copy of the Journal, a bolt of fabric and all the trimmings, and voila, you were set to be as fashionable as any Parisienne de haut gamme. Fashion plates like this were considered collectable when they were produced (I was actually given a few that my grandmother had collected), and are considered quite rare now. I was fortunate to find a portfolio of pristine prints from the 1880s when I was in Europe, and think they are spectacular. You would most likely find them in a museum, like the Metropolitan in New York that also has a great costume institute). It’s a far cry from what is considered fashionable today, but I think if I had the choice between wearing Pamela Anderson or Nikki Minaj’s clothing, or that featured above, I’d almost be more comfortable in a bustle. 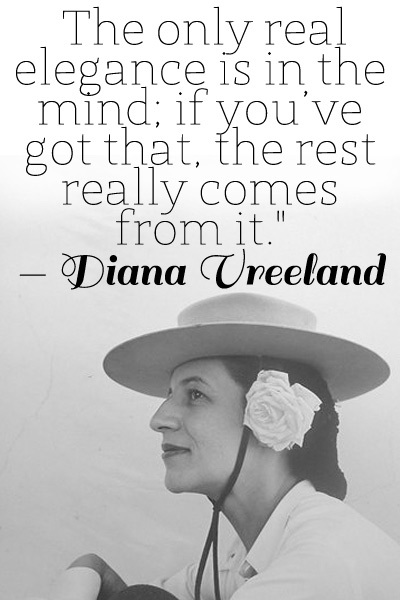 * Diana Vreeland was a major force to be reckoned with during the last half of the 20th century. She singlehandedly changed the way women thought about fashion, and themselves. If you’d like to know a little more about her, you can go here. and there is a recent documentary about her that you can find out about here.